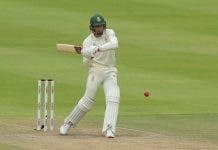 Saturday in Newcastle, in the UK, was a pretty special day for South Africans. It began with former President Nelson Mandela being posthumously inducted into the World Rugby Hall of Fame (with his ally and former Springbok captain Francois Pienaar in attendance), followed by a fantastic 34-16 win against Scotland in their World Cup match…and ended with an awesome display of patriotism from South Africans abroad who spontaneously sang the national anthem whilst leaving the stadium. 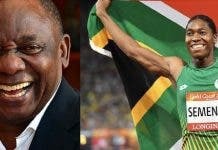 Anastasia Mmarona Maubane: Go Bokke! We painted Newcastle green and gold. And, as if that wasn’t enough…here’s another special video from that evening. As the crowd was leaving St James Park, and just before they began to sing (chant!) Nkosi Sikelel’ iAfrika, they sang Shosholoza. Jonathan Chileshe: I was there ??????? Brett Levin: I was there and so were these legends! Bokke! 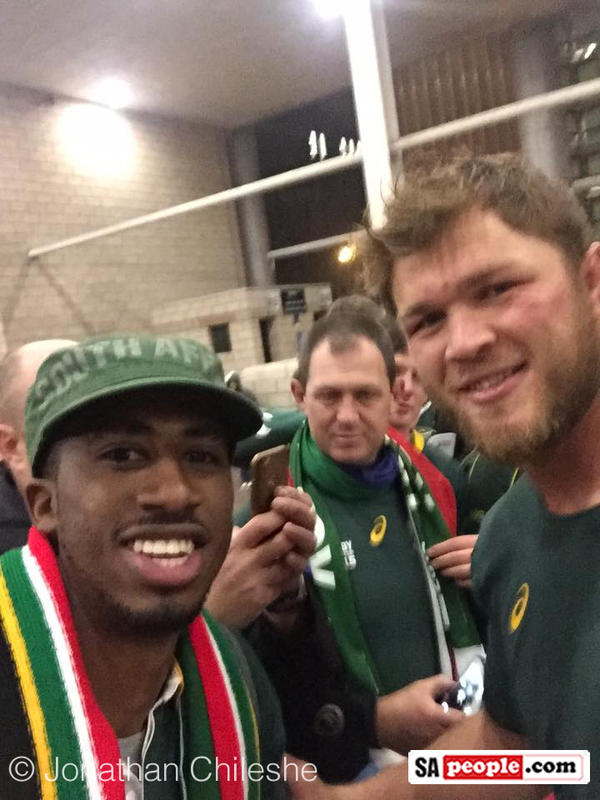 The Springboks themselves were also heroes on the night. Justin Meyer agreed. 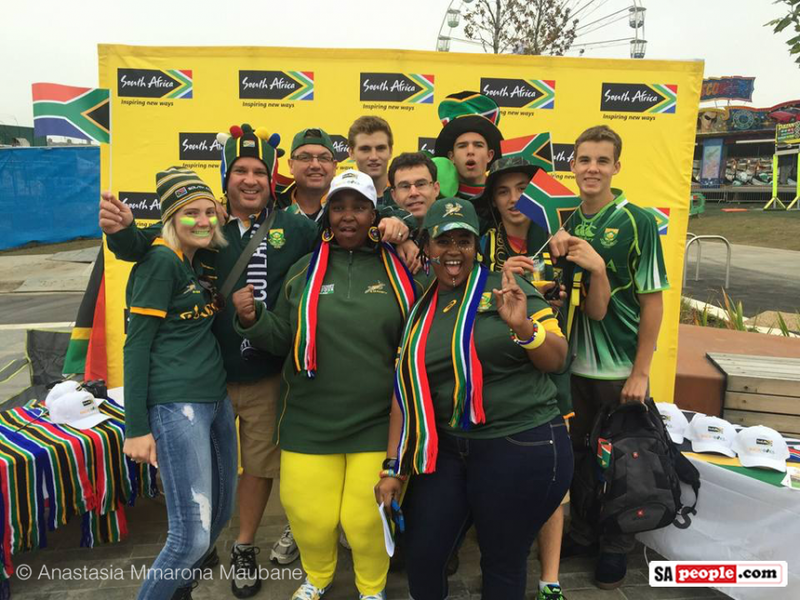 He said: “The patriotism and proudness I felt at this game was simply breathtaking. 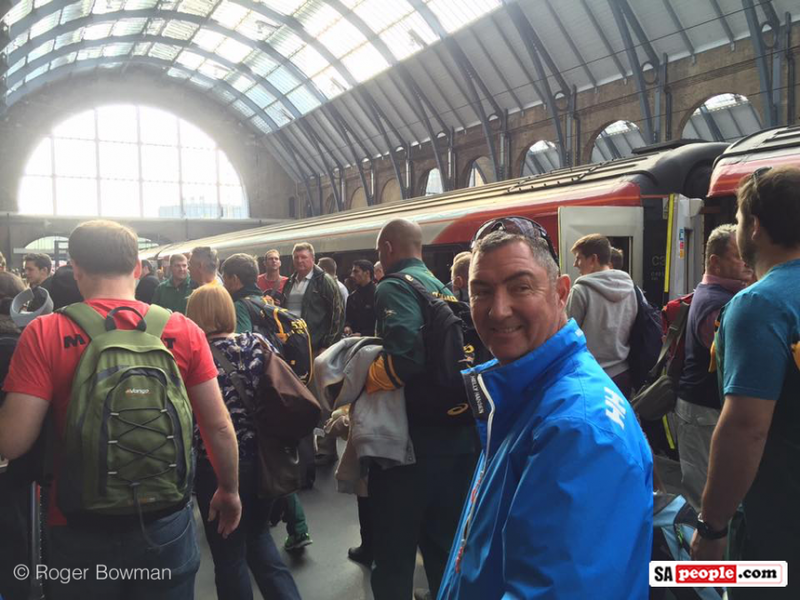 I also have to say that our Springbok boys were so incredibly humble and friendly – making time to greet and talk to us supporters on the platform, and train to London. 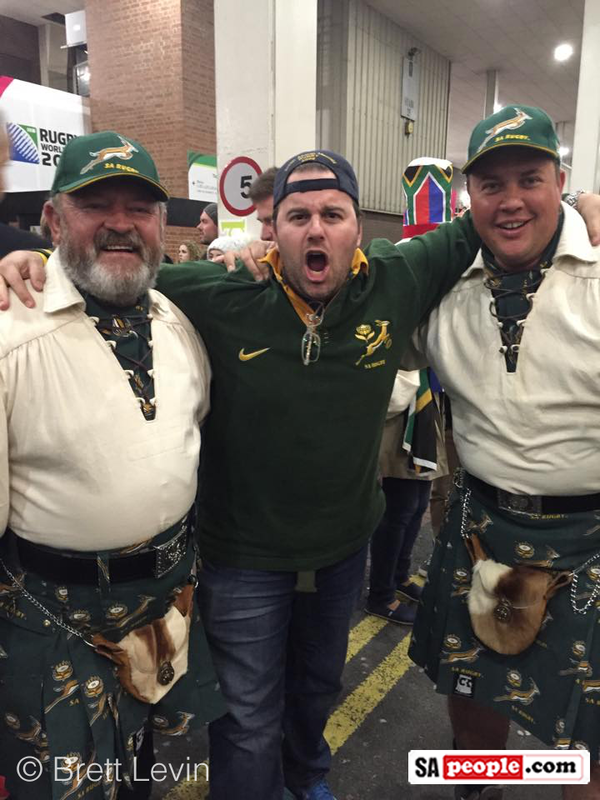 All Bokke suporters just uniting and showing their love and belief in the boys has also just been fantastic to witness. Also after the game at St James Park on Saturday agains Scotland.